The operation of the Whitlam Government from 1972 - 1974 when it faced a double dissolution election, includes the "Gair Affair". Whitlam took office with a majority in the House of Representatives, but without control of the Senate (elected in 1967 and 1970). The Senate at that time consisted of ten members from each of the six states, elected by proportional representation. The ALP parliamentary caucus chose the ministers, but Whitlam was allowed to assign portfolios. A caucus meeting could not be held until after the final results came in on 15 December. In the meantime, McMahon would remain caretaker Prime Minister. Whitlam, however, was unwilling to wait that long. On 5 December, once Labor's win was secure, Whitlam had the Governor-General, Sir Paul Hasluck swear him in as Prime Minister and Labor's deputy leader, Lance Barnard, as deputy prime minister. The two men held 27 portfolios during the two weeks before a full cabinet could be determined. During the two weeks the so-called "duumvirate" held office, Whitlam sought to fulfill those campaign promises that did not require legislation. Whitlam ordered negotiations to establish full relations with the People's Republic of China, and broke those with Taiwan. Legislation allowed the Minister for Defence to grant exemptions from conscription. Barnard held this office, and exempted everyone. Seven men were at that time incarcerated for refusing conscription; Whitlam arranged for their freedom. The Whitlam government in its first days re-opened the equal pay case pending before the Commonwealth Conciliation and Arbitration Commission, and appointed a woman, Elizabeth Evatt to the commission. Whitlam and Barnard eliminated sales tax on contraceptive pills, announced major grants for the arts, and appointed an interim schools commission. The duumvirate barred racially discriminatory sport teams from Australia, and instructed the Australian delegation at the United Nations to vote in favour of sanctions on apartheid South Africa and Rhodesia. It also ordered home all remaining Australian troops in Vietnam, though most (including all conscripts) had been withdrawn by McMahon. 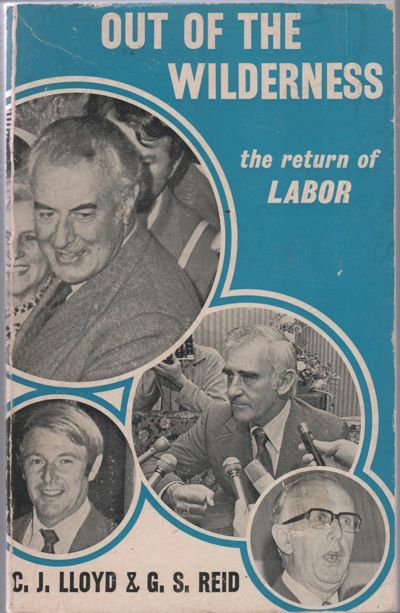 According to Whitlam speechwriter Graham Freudenberg, the duumvirate was a success, as it showed that the Labor government could manipulate the machinery of government, despite its long absence from office. However, Freudenberg noted that the rapid pace and public excitement caused by the duumvirate's actions caused the Opposition to be wary of giving Labor too easy a time, and led to one post mortem of the Whitlam government, "We did too much too soon."